As a child I adored fairy-tales, but mum frowned on me reading them as I approached high school, telling me I should have outgrown them. Then joy, high school and a library full of myths and legends from all over the world to replace my beloved fairies. Those from Rome and Greece were my favourite and I noticed many parallels in the stories. So when I saw this it took me mentally back those happy days getting lost in stories of times past, different cultures and the vagaries of the different Gods and Goddesses. Then came children, a film addict husband and my stories took form once more with fabulous Classic films for the kids, and Jason and the Argonauts was one of their favourites. This book doesn’t really dwell on the Argonauts perilous journey so much as Atalanta’s part in it. We do go with them for long stretches but its more the interaction of the characters than the perils of the journey. Atalanta was abandoned as a baby even though she was the first born and a princess, and she’s brought up by loving foster parents. 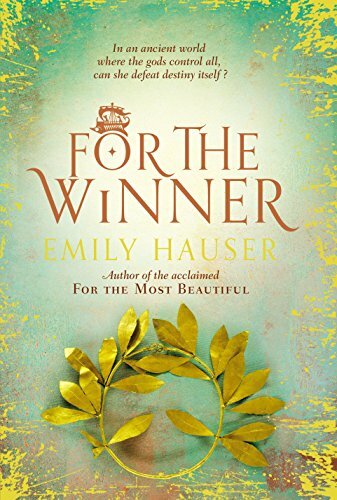 When she hears the tale, when her parents feel she’s old enough for the story of how she came to them, found in a torrential storm, she sets off to find her family, and then finding out the truth she sets out to prove her worth to the king. She’s a fearsome warrior, the equal and better of many men, and in disguise as a Lord she gets her place on the Argonaut, intending to steal the fleece and prove herself to the king, and thwart Jason’s cruel plans for the places he wants to rule. That’s the plan but of course its never that simple, and Atlanta has to constantly revise her plans according to circumstances. Its not hard enough being a woman in a time when they were definitely subservient to men, being a princess in disguise, having to fight every step of her way against her peers, but the Gods and Goddesses have their own plans and are constantly interfering in mortal affairs. Luckily there’s Iris, ostensibly a messenger for Hera, but in reality a Goddess in her own right, using her messenger persona as a way to keep things as she feels they should be. Its a fabulous read, transporting me back in time, waiting to see what would happen to Atalanta and her plans with each new chapter, inwardly ranting at the bigoted and short sighted men, railing at the Gods and Goddesses for their careless interference, their disregard for human life. I kept telling myself “just one more chapter” and then “well, just til I see if/til I find out what…” until I was so tired i wasn’t appreciating the story as it deserves. Its a fabulous read, feeling very real, letting me rail at the unfairness of how women were treated, and then thinking, how come we still don’t get equal treatment thousands of years later. I loved the characters we met, loved the scenes of everyday life, loved seeing a different side to Jason than the usual one, and his cruelty was all too believable. And the ending, just so right, took the story to the perfect finale. Stars: A very worthy Five, a wonderful tale to escape from everyday life into another time and place.